In one of my recent blogs, I wrote about the different types of mute that a trumpet player has at their disposal, in order to create different sounds and timbres. It therefore makes sense to develop this theme and write this time about the vast array of instruments used and needed by trumpeters nowadays. Today, in the highly demanding and competitive world of music, the modern trumpeter is required to turn their hand to as many different musical styles and genres as they possibly can master (or get away with!) and like any craftsman, needs a fairly sizeable box of “tools” that can facilitate this. 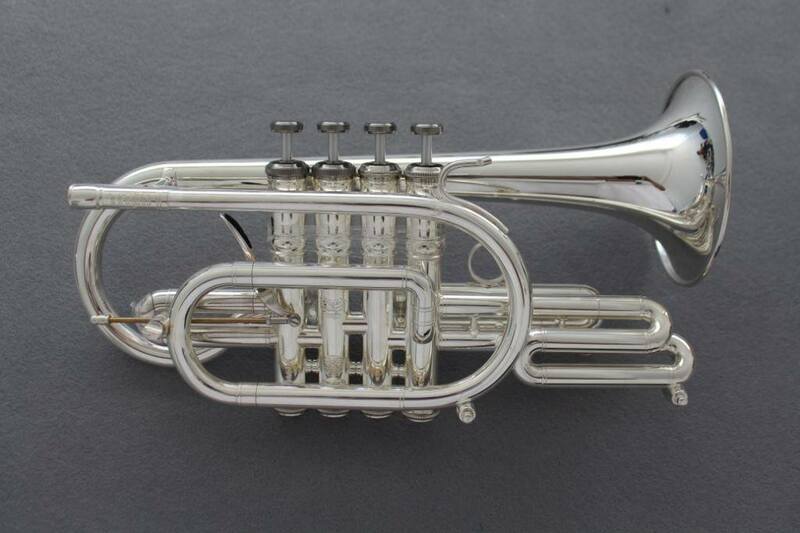 The main instrument that you’ll find all trumpeters playing all over the world, is the Bb (B flat) trumpet. This is what the vast majority of players start their musical journey on and such is its versatility, that it is used in all ensembles and styles of music, ranging from classical to jazz, and chamber music to pop and function bands. There are of course huge varieties of Bb trumpets, in terms of bore size and finish (lacquer, silver plate, raw brass, gold etc.) and this is down to player preference and budget ultimately. It’s once the player gets to a certain level of proficiency and starts diversifying in terms of the range of styles of music that they perform, that the instrumental requirements and choice of instruments by the individual player, start to get interesting. The next instrument that many aspiring students will graduate on to will be the D and/or Eb Trumpet. This instrument is a 2 in 1 usually with interchangeable bells and slides and being a smaller instrument is the choice of kit for performing higher range repertoire and where a brighter sound is required. This would be particularly handy when performing works by Handel or Bach in an orchestra, or for soloists who are taking on the challenge of the Haydn, Hummel or Neruda Trumpet Concerti. This instrument is exactly the same length as a trumpet, however with the bore being a conical shape and much wider, the sound is much mellower. You will usually find this played in a brass band (as I do in the Regimental Band of The Royal Welsh), but this is also found in big bands and jazz combos and is a popular choice for jazz soloists wishing to showcase a more lyrical, silky sound typically in a ballad. 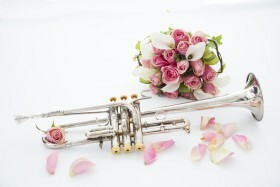 The piccolo trumpet is the baby of the family and plays the very highest notes in the register. This is often the choice of instrument, when the range exceeds what the D/Eb can comfortably achieve and is fiendishly difficult to master if not played on a regular basis. It almost always has 4 valves nowadays and is pitched in A or Bb and the fingerings for each note are played an octave (8 notes) lower than written on the music. Tunes you might have previously heard played by a Piccolo Trumpet would be the trumpet solo from the Beatles hit “Penny Lane” and the theme music to the Champions League football, Antiques Roadshow and “Brideshead Revisited” programmes. Bach’s B Minor Mass and Brandenburg Concerto No.2 and Handel’s “Trumpet Shall Sound” from Messiah and “Let the Bright Seraphim” from Solomon are just a few orchestral pieces that would demand the use of a “Picc”. One of the greatest exponents of the piccolo trumpet, was French virtuoso Maurice André whose mastery of this instrument is the bench-mark and reference point for all aspiring trumpeters around the world. As with all experts in their field, he makes it all seem so effortless! 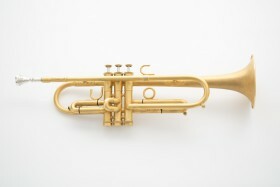 The C Trumpet is the closest relative (in size) to the Bb trumpet and was historically the “weapon” of choice of American trumpeters in orchestras, however this is not so much the case nowadays perhaps. It’s a versatile instrument which is popular for using in contemporary orchestral and chamber music, where a smaller bore is required to cover a greater range and also makes playing in certain key signatures a little more user-friendly. With many orchestral trumpet parts needing to be transposed (that’s another Blog for another day), the C sometimes facilitates easier transposition too. All the above instruments use piston valves to obtain the notes, but the Rotary Valve Trumpet has valves like the French Horn. These trumpets would typically be seen in the Berlin or Vienna Philharmonic Orchestras, plus other types of wind ensembles in those countries. So now you know why trumpeters often look as if they are moving house, as opposed to going to a gig. Thanks once again for reading my blog and if you’ve enjoyed it, please share and drop me a line with brass and trumpet related topics that you’d like to hear more about.